Since 1952, Joe’s Sanitation Service has been serving the needs of communities and customers in Southern Nevada and surrounding areas. We provide residential and commercial septic tank pumping and cleaning, grease trap pumping and cleaning, sewer and drain cleaning, clog removal, hydro-jetting and well and septic inspections and certifications. Joe’s Sanitation Service is also a full service portable services company, offering clean, modern, portable restrooms, sanitary sinks, temporary fencing, storage sheds, and event planning services. Joe’s specializes in providing units for special events such as weddings, fundraisers, concerts, festivals, fairs, golf tournaments, sporting events, and construction projects. The operators of the company offer a combined 65 years of experience and can be counted on to deliver professional service designed to exceed customer expectations. Additionally, our owners and operators, delivery personnel, service technicians, and customer service representatives live locally. We know the area and we are committed to the communities we serve. All of the chemical and cleaning products used in our restrooms are earth friendly and biodegradable. Also, all of the paper products used in our restrooms are made from 100% recycled post-consumer paper fiber. 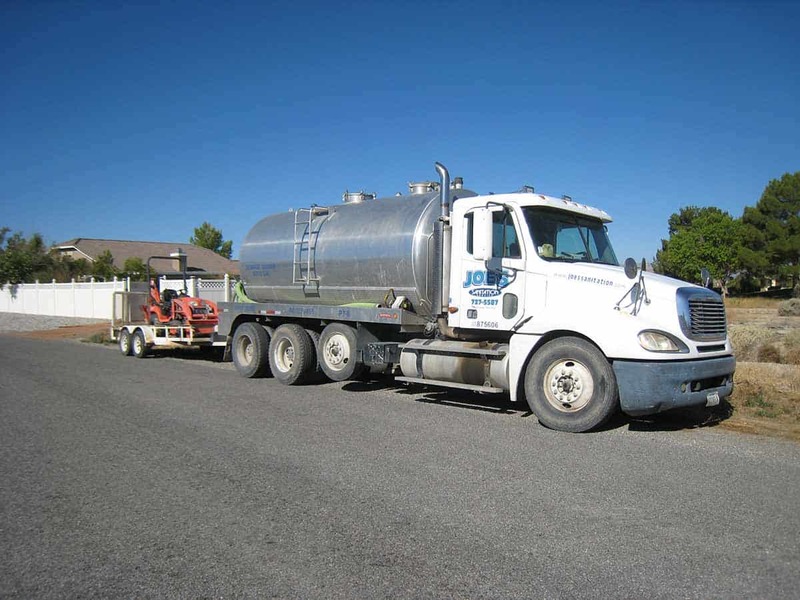 We are fully licensed waste hauler and all grease, wastewater, and solids will be collected and transported according to federal and state requirements. Joe’s has two convenient Nevada locations, Las Vegas and Pahrump, to meet all your septic, grease trap and portable restroom needs. Our offices are open Monday through Friday, from 8:00 a.m. to 4:00 p.m. We also provide 24 hour emergency service. Call us today or visit our website.